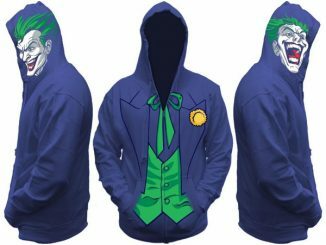 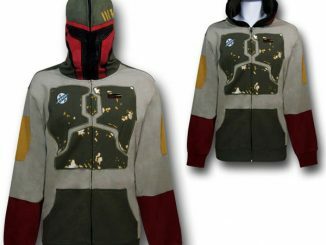 Batman fans have a new hoodie to wear. 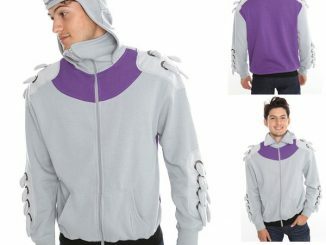 The Batman All View Men’s Zip Hooded Sweatshirt makes you look like the Caped Crusader from both sides. 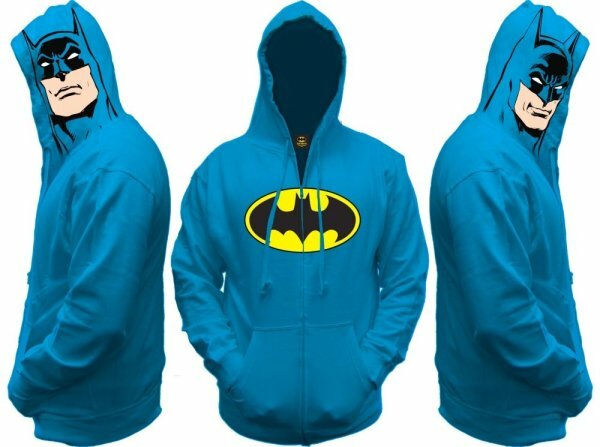 This turquoise blue hoodie looks like it came straight from the comics. 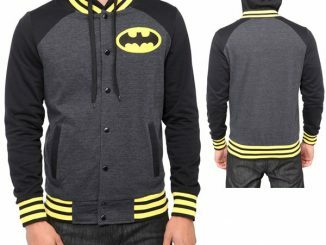 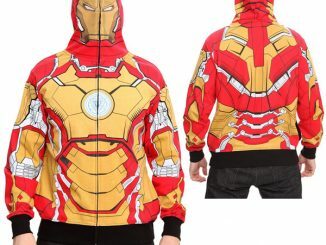 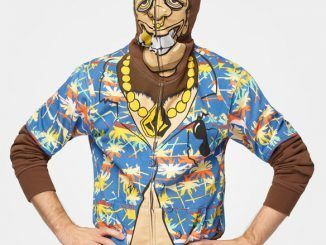 It has a printed Batman symbol on the front and Batman’s face on each side of the hood. 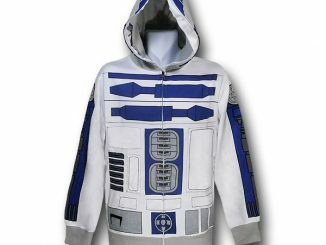 There’s also a zip front closure, front pouch pockets and a drawstring adjustable hood. 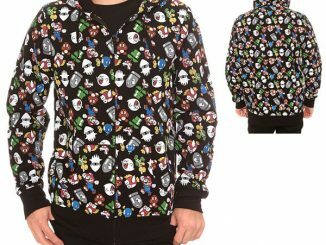 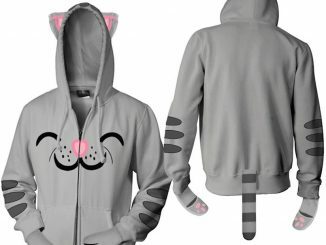 It comes in Adult men’s sizes and is 80% cotton and 20% polyester. 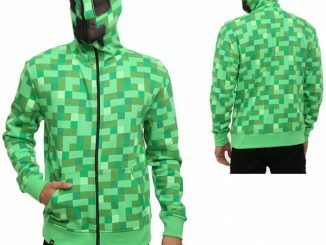 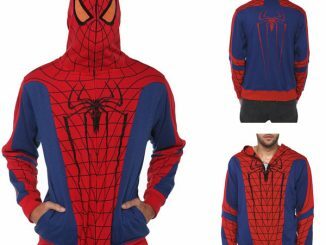 From $49.44 at Amazon.